Win a FREE Copy of Rum Run! Terra Neo is a Finalist for the Map-Builder Challenge! Today’s December 8th, and you know what that means folks. Rum Run is released! Well, at least it will be in a couple of hours. 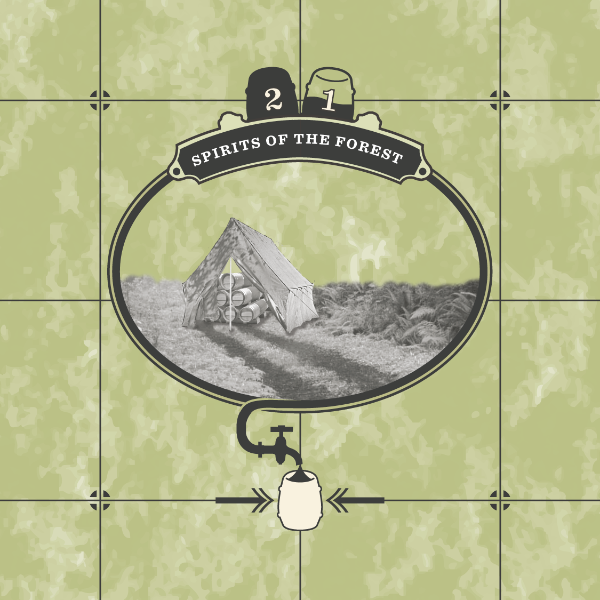 We’re putting the finishing touches on the rulebook now, and it’s very nearly done. But that doesn’t mean we can’t announce some contest winners getting a FREE copy does it? Next, up the winner of the raffle. This is an interesting story– the winner of this game has been the subject of much discussion among us for the past week for an entirely different reason– his distillery entry. 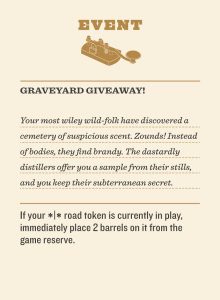 He suggested ‘The Graveyard’ in honor of a famous subterranean still that was located under a cemetery. 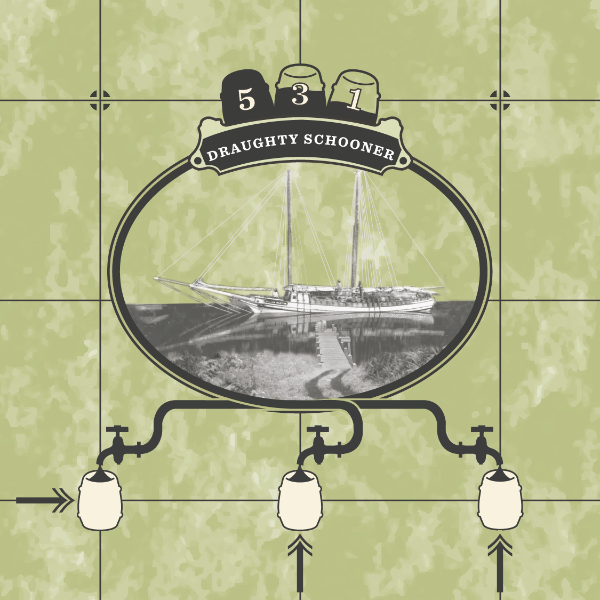 We weren’t able to incorporate a new distillery design entirely, but we were so fascinated by this story that we made it into an Event Card! Oh, and then after punching all 38 correct distillery answers into Random.org, we came up with his name. Congratulations to David Ells! 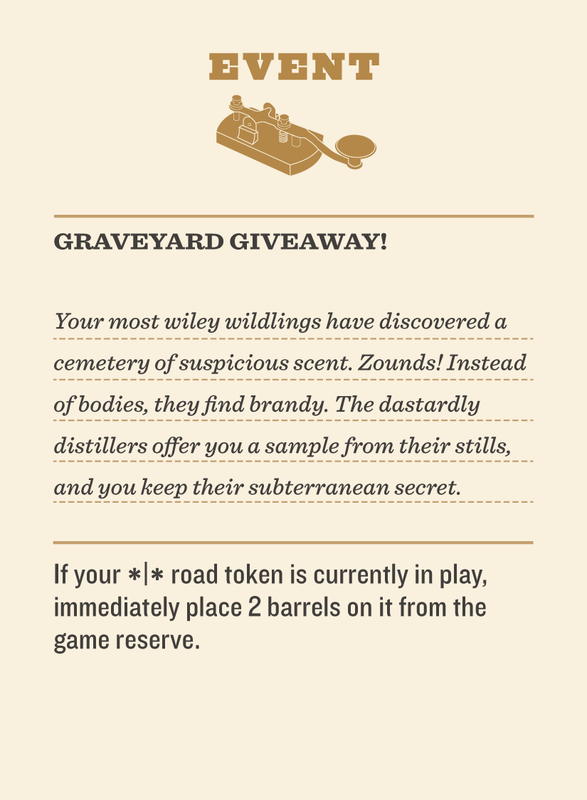 Thanks to everyone who entered– we’re thrilled by the excitement for the game, the kind words, the creativity of the distillery names, and the dedication of so many people to learn enough about the rules to solve the puzzle. You guys are awesome. 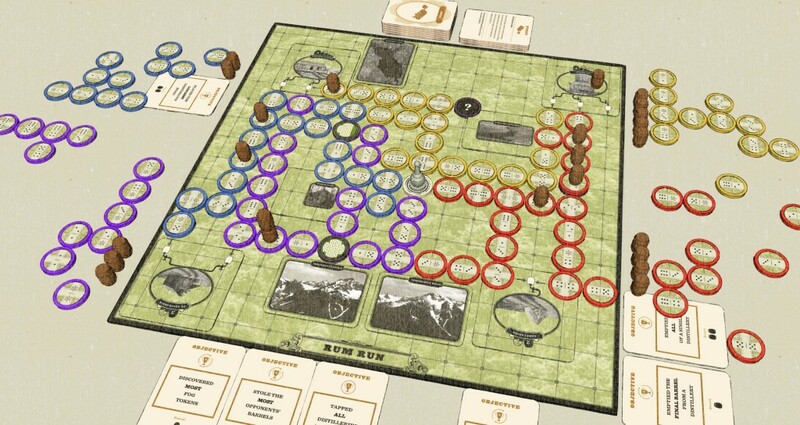 Now head over to the The Game Crafter to pick up your very own copy of Rum Run! The full rules, as well as the Quick Start Guide and Turn Summary Flowchart are also available there as a free download.